With a little help from our own team members at the finish line, we have just scraped over our Sportaroo fundraising target! Thank you to everyone who contributed! Everyone involved with the Fistball Federation of Australia truly appreciate your help and support, and we will try our best to do you all proud at our first ever international tournament… in just over two weeks! Regarding purchased merchandise, we will be individually contacting each supporter to ask for postal addresses, shirt sizes (if applicable) and any other details we require. As some of the merchandise will need to be ordered and produced from scratch, there may be some wait on certain items… but we will do our best to get them out to you as soon as we can. 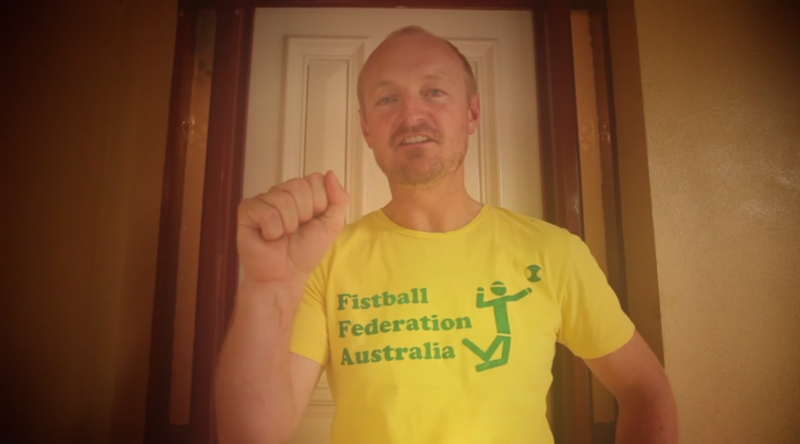 If you can have any questions please contact us by either private messaging our Facebook page, or via email at contact@fistball.com.au. Thanks again… and fist on!